Dogs are a person’s best friend, but we can’t always be there to keep them company. 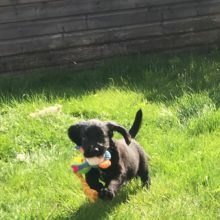 Dog day care resorts and services provide a safe and social environment for your dog to be looked after while you’re away for the day – whether it’s because of work or play. Dog day care services can include centres or kennels where you drop your dog and collect them later, or home visit services where someone pops in to check on Fido while you’re not there. 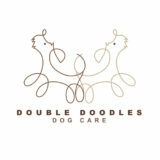 Our comprehensive list of doggy day care services will have something to match your needs. Luxury unkennelled dog day care for your most loved canine family members. We are part of the Canine Creche Group. Rags and Bert’s is a different concept in dog care with 3,000 square feet of indoor space your dog will have fun in a fully supervised environment. 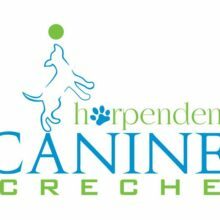 I can help you with Dog walking, Doggy Day Care, Puppy Walks, Cat and Small Animal visits, Pop-in feeding services and Pet transport. We are South Manchester Pet Care, a friendly local company offering high quality, fun dog walking and stimulating pet sitting. I’ll take your dog for walks in places like Wythenshawe Park, Sale and Chorlton Water Parks and along the canal or if your pet has a favourite area we can go there! 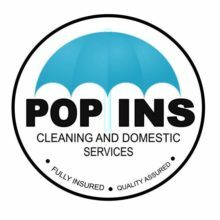 Areas covered are Altrincham, Sale, Gatley, Cheadle, Wythenshawe and Timperley. If you need a pet walking or looked after in the comfort of your own home, giving you peace of mind as you work or relax on holiday please contact me for a free of charge, no obligation home visit. I am fully insured and DBS checked and I’ll always work with you to ensure your pet gets the best for it every day. We operate from our home where there is plenty of great walks to take your dog during their stay with us.